Sometimes, you or a member of your staff will have to go back and edit the information saved in a payment record, to make clerical changes or to update record information. The following steps will show you how to edit an existing payment in the Method Payments App. Note: It's a Method best practice not to edit payments, especially those that have already been sent processed, because it can lead to inconsistencies in your records. Be careful when editing payments! 1. From your Method dashboard, click Today on your Payments App. 2. This opens the Payments List screen. Locate the payment you wish to edit and click on it. You can search manually or use the search function at the top of the screen. 3. This opens your New/Edit Payment screen. Make your changes, then click Save. 4. You can then clear the fields to prepare for a new payment, or delete the payment. Note: Be careful changing balances in past payments, as changes to an existing balance can cause inconsistencies in your accounting records. Deleting payment records can cause similar inconsistencies, but deleting a payment record does not reverse the payment in QuickBooks or your accounts receivable. Your changes are now reflected in the saved payment. 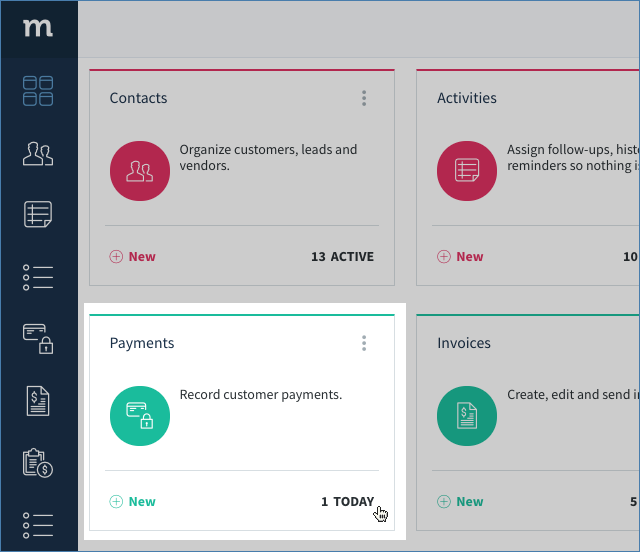 If you altered the balance, that change is reflected in the Customer Balance field on the View Contact screen for that customer, and will be updated in QuickBooks during the next sync.